Doctor Who is back, and the eponymous character is now a woman. The Doctor has never been overtly masculine or feminine. In terms of the Five Factor Model for personality, he’s never really conformed to any masculine stereotypes. Generally, he displays the finer traits of both genders, so his gender change is more aesthetic than anything. 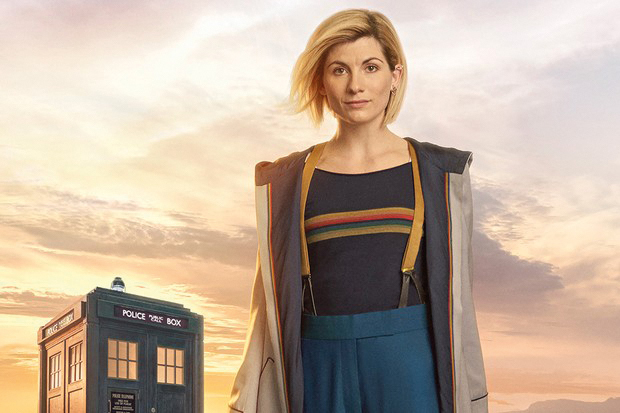 Bearing this in mind, the series 11 premiere, The Woman Who Fell To Earth, creates another rather asexual Doctor in Jodie Whittaker. Her personality feels like an amalgamation of David Tennant’s Tenth Doctor and Matt Smith’s Eleventh Doctor. The Thirteenth Doctor has the charming, somewhat dashing characteristics of Tennant while maintaining the alien, almost childlike characteristics of Smith. As of yet, it’s hard to exactly pinpoint the finer details of her character. The staple trait of immense compassion is still obvious. Another staple of the show is the companions, of which there are now three. Ryan, played by Tosin Cole, is an insecure young man suffering from dyspraxia, Yazmin, played by Mandip Gill, is a no-nonsense police woman and Graham, played by Bradley Walsh, is an older, conservative working-class man. While all the performances are decent, Walsh absolutely shines as Graham. His character is essentially the stickler with a heart of gold and some of the truly emotional moments derive from his acting. In terms of the show itself, Chris Chibnall, the new showrunner, created a passable introductory episode. The show is rather aesthetically pleasing, with the cinematography finally matching that of other big budget television shows. However, while the style of show has improved, the same cannot be said for its substance. The plot is mundane. A Predator-like alien arrives on Earth to hunt. He’s been assigned to kill some random human for sport. Where’s the sport in sending a trained, advanced alien hunter to Earth to kill a normal civilian human? It’s like sending a Navy Seal to hunt a rabbit. Expectedly, his plan is foiled by The Doctor. Another problem with the episode is the creation and use of The Doctor’s iconic Sonic Screwdriver. It was assumed that the Sonic Screwdriver was advanced alien technology and that’s why The Doctor can use it like a magic wand. Apparently not. The Doctor manages to make it from spare parts in a mechanic’s shop. She then uses it perform all kinds of functions explained away via techno-babble. Genius Doctor or lazy writing? The Doctor does have some nice moments. Her little speech about integrating her family into her personality to celebrate their memory is rather touching. Whittaker does show potential to be a good Doctor. Yet, compared to the other introductory episodes, she doesn’t shine like her predecessors. I don’t think it’s fair to chalk it down to her performance but the rather stale writing that has characterised Chibnall’s previous episodes. The Woman Who Fell To Earth is adequate. It provides its audience with an introduction to a new, affable, female Doctor who little girls may identify with more. However, while Whittaker’s performance is warm, Chibnall’s writing is not, and if Whittaker is to succeed, it needs to be.